Looking for the cheap carpet installation prices in Rose? If yes, then we have some good news for you. 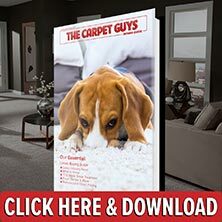 Here at The Carpet Guys, you will find amazing deals and pricing on the most sought-after flooring products seen in homes today. We guarantee that whatever carpet you get installed from us, you will be satisfied with it for years to come. Finding discount carpet pricing in Rose does not have to be difficult. As long as you are working with the right flooring company, cheap carpet prices can be easily found. We want everyone to have the chance at enjoying new carpet, so we do what we can work with your budget. For all of your carpeting needs, get them handled by your trustworthy local flooring dealer, The Carpet Guys! Plush Carpet makes the perfect fit for any kind of formal setting. Enjoy the luxurious and rich velvet like feel Plush has to offer. Frieze Carpet will be a wonderful addition to any kind of room with a casual and informal setting. Get the trendiest styles with Frieze. Berber Carpet is the best selection for a home that experiences a good amount of foot traffic. Get this tough carpet installed to keep your floors protected and looking good. Looped Carpet is multi-leveled and offers a very interesting feel underfoot and comes in a wide variety of colors. There is a type of cut-loop carpet for any situation. To get started working with us today, take a few moments to fill out our free in-home estimate form via our website. If phone call works better, give us a ring and speak to one of our friendly call center representatives to get started as well. We look forward to hearing from you.